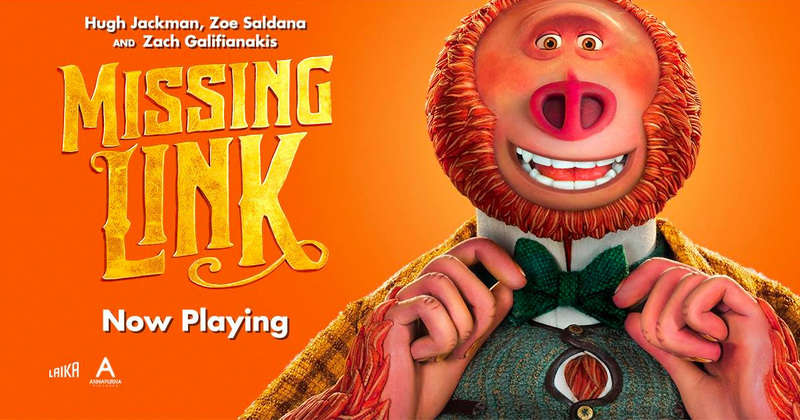 “Missing Link” hits theaters this weekend! The stop-motion animated adventure directed by Chris Butler features an all-star cast of talent including Hugh Jackman, Zoe Saldana, Emma Thompson, and Zach Galifianakis. The story follows Sir Lionel Frost (Jackman) after he is recruited by Mr. Link (Galifianakis ) to help find his long-lost relatives in the fabled valley of Shangri-La. Along with adventurer Adelina Fortnight, this trio of explorers travel the world to help their new friend. “Missing Link” was posted at Warner Bros. Sound Burbank with Supervising Sound Editor/Sound Designer/Re-Recording Mixer, Tim Chau and Re-Recording Mixer, Tim LeBlanc. The Foley team included Foley Artist, Catherine Harper, Foley Mixer, Darrin Mann and Foley Editor, Travis Crotts.